The perfect gift for your mom are flowers that won't fade this Mother's Day with this beautiful floral card. 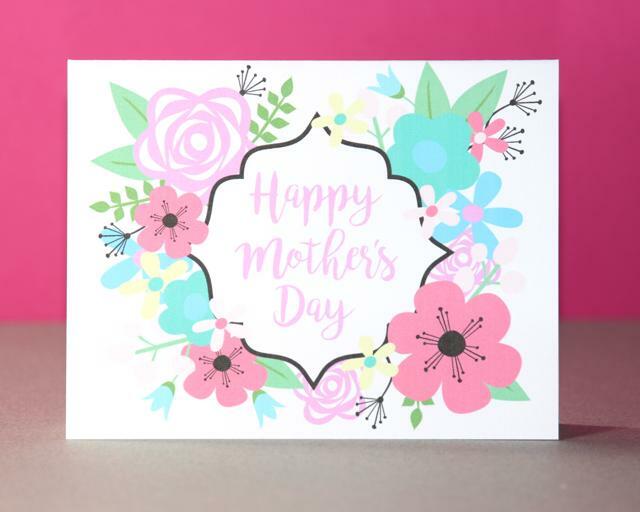 Featuring a lovely mix of flowers surrounding a bracket frame with the words "Happy Mother's Day". 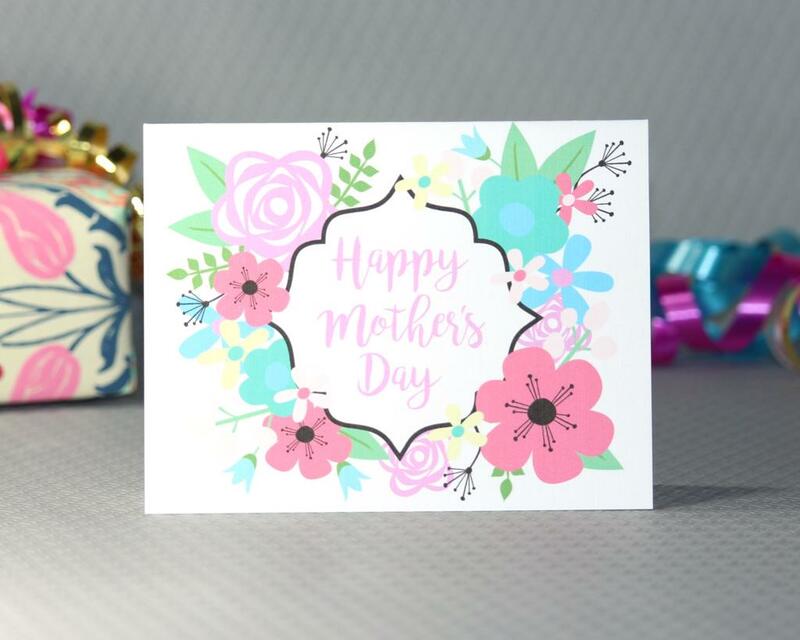 Also great for your Grandma, Mother in Law, or Step Mom too!